Is the kale craze still going strong? I think so. I do like kale in salads and soups, but I think my favorite kale preparation is chips! You can buy kale chips, but they are cheaper and better to make at home because you can control the amount of salt and the types of flavors/spices you may want to use. Last week I strolled through Whole Foods and saw that purple (aka red) kale was on sale for $1! I picked up a bunch and brought it home, where it sat in the refrigerator for a week. Finally, yesterday, I turned that bunch of kale into kale chips. 2. Remove and discard the thick stems from the kale leaves. 3. Tear the leaves into large pieces and wash them well. 4. Make sure to dry the leaves very well using a salad spinner, a kitchen towel, or paper towels. 5. 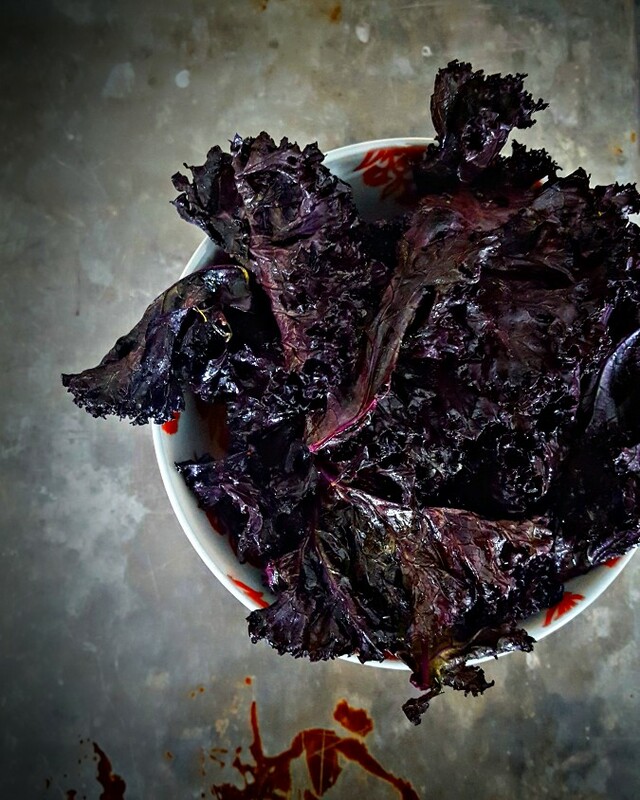 In a large bowl drizzle kale leaves with olive oil and season with salt. You want enough oil to lightly coat the leaves, but not to soak them. Start with a small amount of oil and then increase as needed. 6. 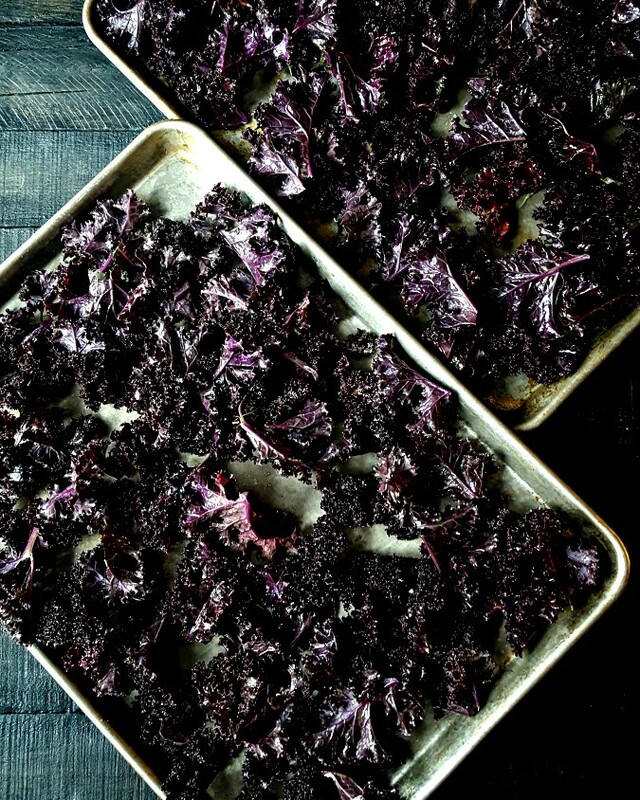 Put the kale leaves onto a cookie sheet in a single layer and roast for 20 to 25 minutes tossing the leaves every 5 minutes. 7. Once the kale leaves are crispy and have turned into chips, take them out of the oven and sprinkle with additional spices: I used sumac. 8. Allow the chips to cool down slightly and consume immediately. This is before photo. The one above is the after.